Access control, one of the key components of a comprehensive security solution, comes in many different varieties. Essentially there are two components, the lock (i.e. the physical mechanism keeping the door locked) and the access control system (such as a card reader, biometric reader, keypad etc, which opens the lock). In this post we will take a look at the lock component, specifically within electric locks. Electric locks are already widely adopted in the States and much of Europe, and their use is growing fast in Asia too as companies and individuals realize electric locks provide a safe and secure solution for access control. Below are the three main types of electric locks on the market. Taking into account the safety, security, convenience and aesthetics of each type, we'll provide you with an overview of the options available. It therefore only takes a loss of power to make a fail-safe lock ineffective. Of course there can be a battery backup supply installed, but the battery will have a limited lifespan, perhaps not more than a couple of hours, which limits the time available for the power supply issue to be resolved. Fail-secure locks are therefore better for doors which require higher security, but carry greater risk for safety as there could be people trapped inside the building. 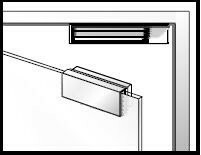 Accounting for about 80% of the electric locks in use, mag-locks operate by an electromagnetic strip attached to the door frame which aligns with an armature attached to the door. The lock can be fail-safe (whereby the electromagnet releases the armature) or fail-secure (whereby the electromagnet attracts the armature) depending on the use and safety standards. 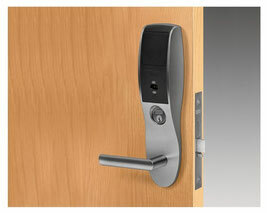 Mag-locks are relatively simple to install and are cost effective in terms of procurement and installation. They are also fast to operate and can withstand significant mechanical force. Fail-safe locks, which are most commonly adopted, require a constant supply of electricity to remain locked therefore making them slightly more expensive to run due to continuous electricity consumption. Moreover, if a mag-lock is continuously locked for a long time, it can be difficult to open. Another disadvantage is that the lock is essentially just a magnet so can be easily tampered with using everyday metal objects. Electric strike locks account for around 10-15% of the electric locks in use. These locks are secured via a mechanical lock within the door and door frame which is connected to an electricity supply, The lock is therefore released if the access control device is activated (instead of using a key in traditional mechanical locks). Like mag-locks, electric strike locks can be set as fail-safe or fail-secure. The major advantage of electric strike locks is that because the lock component works like a standard mechanical lock, the lock can be set such that it can be opened from inside using a handle. An electric strike lock can therefore be set as fail-secure, but still allow people inside the building to exit safely, without needing to install a break glass or release button inside. Locks can also be installed with a key lock option enabling the door to be unlocked mechanically too (particularly in case of a loss of power on a fail-secure lock). Electric strike locks tend to be more expensive and more complicated to install as they require various components and wiring. Moreover, if the door can be opened with just the handle from the inside (rather than a release button) then it is impossible to track exits through the door on the access control system. Wireless locks essentially work like a strike lock in terms of the mechanics, but the access control element is contained within the lock system on the door itself. It is therefore battery powered and the lock released via wireless technology. Electric locks have fewer components so are cleaner looking and easier to install. This means that they can be easily added to a door at any stage on site construction (unlike wired doors which can be difficult to install after a site is complete). They do not require a break glass or push button device to override the lock like in mag-locks and electric strike locks. In addition, wireless locks only use electricity when the lock is being opened resulting in less energy consumption while safe and secure at all times. Although a wireless lock can be slightly more expensive option initially, they require less maintenance making them a cost effective option in the long run. As a battery powered device, users should be alert and responsive to when the lock's battery is running low, as if not replaced, the lock will not be able to be opened electronically. For a more detailed overview of wireless locks and their capabilities, download this white paper. Before you make any decisions about what lock is best for your site, it's important to first think carefully about what your site requires in terms of safety and security, and to evaluate how risk can be reduced to ensure that security related incidents won’t interrupt your business operations. Another key consideration is the state of the site itself: if you are adding access control to a site after its completion, it may be easier (and certainly more cost effective) to opt to use wireless locks as installing all the components and wires for mag-locks and electric strike locks will require a lot of additional time, labor and effort. Some end-user opt for a combination of locks, installing a mag-lock and an electric strike lock on a single door to ensure that it is safe, secure and is able to accurately record movements of people in and out of the door at all times. However, in this case, it may just be simpler and more cost effective to install a wireless lock. If you still aren't sure what type of lock and access control system best meets your needs, feel free to get in touch with one of our experts via sales@icdsecurity.com. 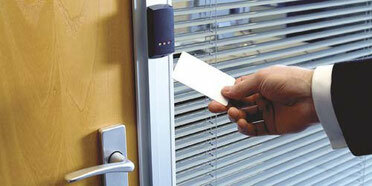 Watch out for future articles about types of access control.